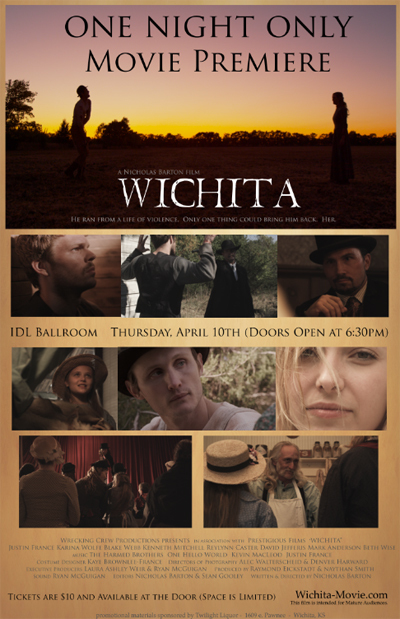 Prestigious Films presents the World Premiere of “Wichita” a feature film (Western/Thriller) on Thursday, April 10th at the IDL Ballroom in downtown Tulsa (doors open at 6:30pm). 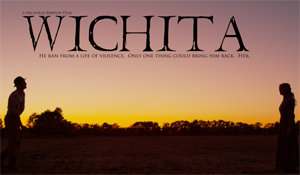 Prestigious Films will be debuting the feature film Western/Thriller “Wichita” at the IDL Ballroom on April 10th. Following the film, various cast and crew (including the film’s lead actor, director, and producer and many with Tulsa ties) will be available for a short meet and greet. At the screening of “WICHITA” (107-minute feature film); all seats are general admission for $10 and available at the door. Doors open at 6:30pm and the film will start at 7:00pm. The website for the film, (which also houses the film’s trailer, IMDB Page, Cast, Crew, and Synopsis) is available by clicking here. The film’s trailer is captivating and suggests a high quality production by a talented crew and cast. This is your chance to see it first and meet key players – before it gets really famous. This entry was posted in Out & About on March 18, 2014 by admin.